If a woman can do it, more than likely Oprah Winfrey has done a show about it, or has maybe even done it herself. After twenty years on the air, Ms. Winfrey enjoys a status and respect that, should she choose to run, she would probably be the first female and African-American president. Her net worth is incalculable, her influence so broad as to have become cliche -- what husband hasn't uttered the phrase, "Is that some new thing you saw on Oprah?" The Oprah Winfrey Show came out amid a flurry of other television talk shows. In a tumultuous sea of "My Husband is a Transvestite" and "I'm Pregnant By Your Best Friend," Oprah's show focused on important things: Protecting yourself and your children from strangers. The importance of prayer, and recognizing the things that are truly important in life. Accepting people's differences. 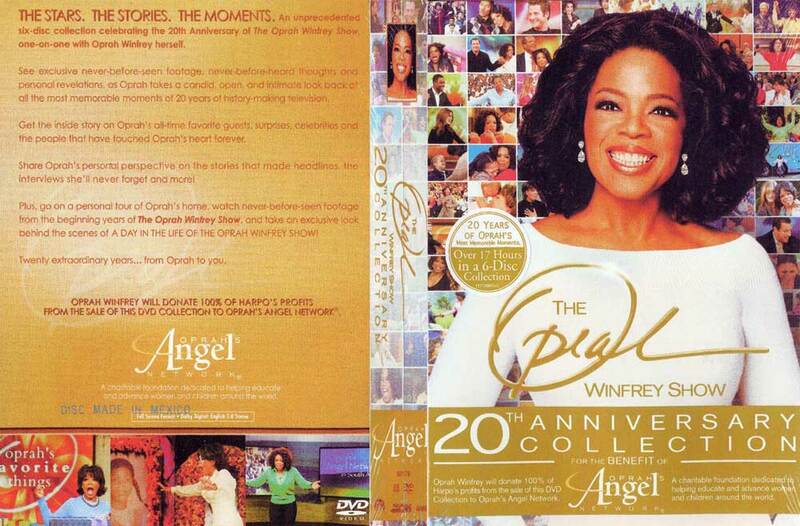 Over time, the show transformed from spotlighting the important issues to getting involved with the important issues to actually making a difference in the important issues through the formation of Oprah's Book Club and Oprah's Angel Network. 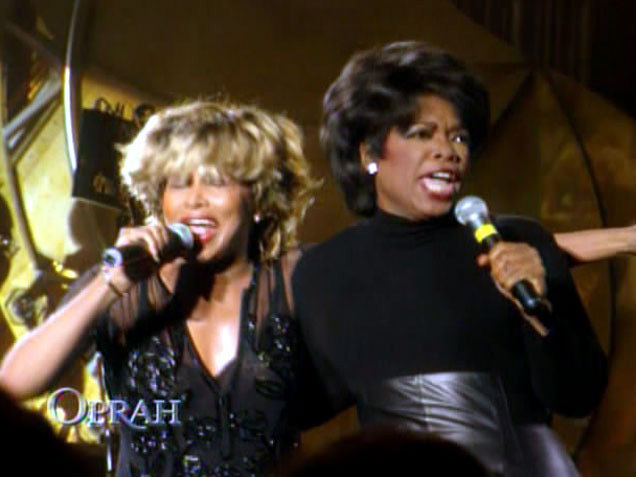 Tina Turner is on DVD 3, going onstage with Oprah during her Wildest Dreams Tour and performing "The Best". Tina Turner is also on DVD 5, where she let Felicity Huffman’s dream come true to be her background dancer during "Proud Mary".